I'm not quite sure why there is a -e after ваш. Ваш, ваша, ваше, ваши... ваше is for neutral nouns? Yes. This is exactly how it works. Neuter nouns use моё, твоё, ваше, наше. Just learned такси is a neuter noun. Isn't the rule that most English cognates are masculine? There is no such rule (also, "taxi" was clearly borrowed from French). So why is it ваше такcи, not твоё такcи? Well, you have to make a choice. But is one more correct than the other? Does one sound better over the other? In what scenarios do they differ. same as the difference between ты / вы. I am sure you don't need them but I gave you ten lingots anyway. If giving lingots weren't so cumbersome I would give you a lot more. Does taxi have a plural way in russian? Why isn't it твои(й) такси? Its plural form is the same as its singular. If the plural form of a noun is the same as the singular, is number not shown in the possessive? It is shown just like for any other noun. Why wouldn't it be? 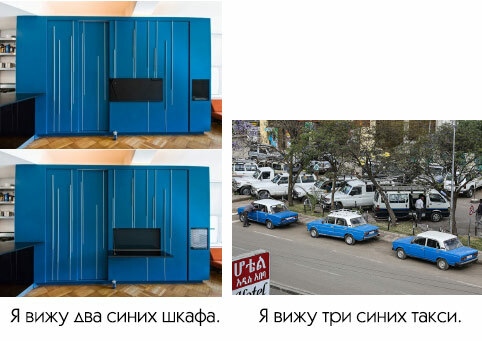 Ok, so if there were 2 taxis, would it be your (two) taxis written вши такси or вше такси? Or a completely different declension of вш-? Apologies if I'm being super obtuse, but you've been helpful so I'm asking you the embarrassing question. for more than one taxi, it would be ваши такси to indicate the plural (at least that's what "Google translate" claims). There isn't much to say about words like "my" or "your" in Russian. Unlike English, no distinction is made between my and mine, her and hers etc. Pronunciation: in «его», as well as in adjective endings and "сегодня" the letter Г is pronounced В. It is a historical spelling. ALL NOUNS WITH -ЧЬ, ЩЬ, -ШЬ, -ЖЬ AT THE END ARE FEMININE. THE CONVENTION IS TO SPELL FEMININE NOUNS WITH A SOFT SIGN AND MASCULINE ONES WITHOUT ONE: НОЖ, ЛУЧ, МУЖ, ДУШ. IT DOESN'T AFFECT PRONUNCIATION, ANYWAY. Any link to see how to get the correct ending in pronouns? Here you go: http://www.goldrussian.ru/pritjazhatelnye-mestoimenija.html#title. Also take a look at some other links on that page. The site is entirely in Russian. If you are feeling the need to get help at this level, the site won't do much for you. For lack of a better option. It does not look like a feminine or a masculine noun (or neuter, for that matter), and does not have any obvious reason to be specifically masculine or feminine. in the rules under: https://www.duolingo.com/skill/ru/Possessive-Modifiers-1 there is no mention of wоrds ending on ”и”. Is there a rule for these? or they just exist as "borrowed words" from other languages? What is the plural form of Такси? It's already got that -И ending there, so I'm not quite sure how to pluralize it. It does not change. All forms of такси, кофе, кафе, радио, пюре, Дженни are the same. Nouns like такси, Дженни or кенгуру do not fit Russian declension patterns, so we use them in their fixed from instead. Names of females like Джейн, Абигайл, Дженнифер, Элен, Маргарет also do not fit because they look like typical masculine nouns. Words for objects that end in a consonant would be assigned masculine gender and behave normally (cf. интернет, форт, экран, шоколад, барьер, асфальт, шлагбаум). Кофе or радио could theoretically work as normal neuter nouns (c.f молоко, окно, яйцо) but in reality loanwords ending in -о/-е are indeclinable. So could you give an example of how you would say "three taxis"? You'd usually use the genitive (singular?) for that number if I'm not mistaken, but you can't, so would it literally just be "три такси"? Also, the verb "стоп". How would one use endings on that as it doesn't follow infinitive guidelines? один солдат / два солдата / пять солдат. Стоп is not a verb. ты, тебя, ваше! Why so many yous? Ваше is an adjective "your" rather than "you". The reason you have so many - Russian has different cases, depending on how things are used in a sentence. The subject is in nominative case, the object in accusative case, and so forth. Russian, unlike modern English, also distinguishes between singular and plural, thus adding an extra form for every case. "Я не получил ваше сообщение." "Эти актёры уже в такси."